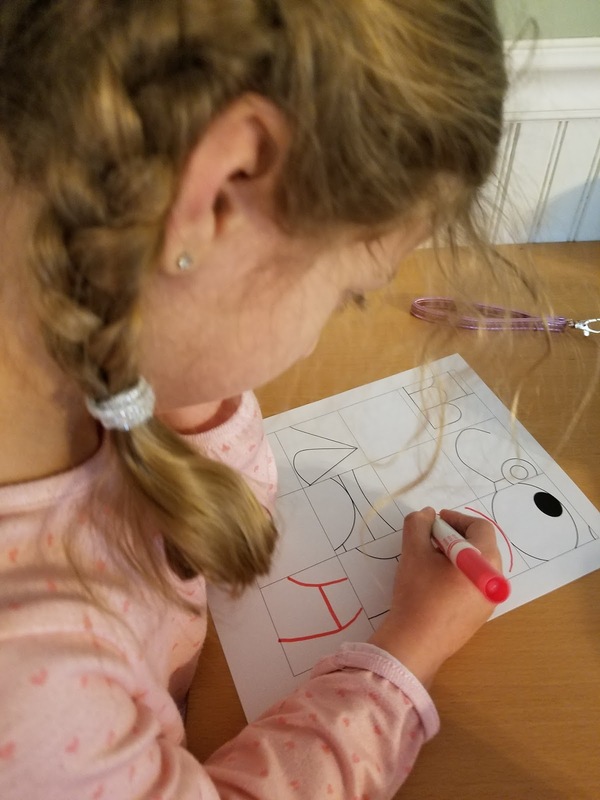 As a third year homeschool mom, who is rapidly learning how much she didn't know she didn't know, the chance to review curriculum is an absolute blessing - especially when it comes to subjects that I'm not confident in. I feel comfortable teaching reading, and teaching math, and we love exploring science and history together. However, as a former music teacher, I know that specialists teaching the "special" subjects aren't just filler - they're vital. It's best to learn music from a musician, and it's best to learn art from an artist...and I am not an artist. In fact, when it comes to art, Madison and I have about the same level of confidence, which is none. A few weeks ago she was tasked with copying an Impressionist painting for her French history class at our co-op, and both of us were overwhelmed with the prep work required. I want her to be exposed to art, but I worry that I'm not the one to do it. 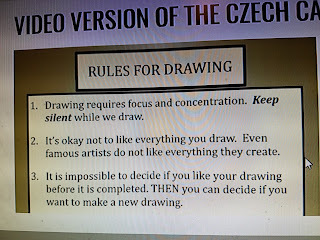 This is the case where an online curriculum from a real artist is golden. Madison has been taking online drawing lessons using the Entire Level I from ArtAchieve. 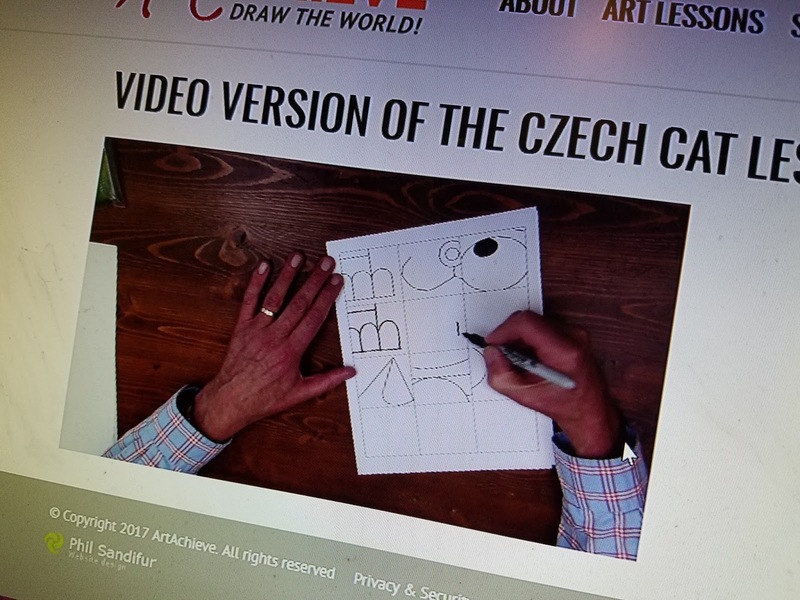 ArtAchieve is a comprehensive art curriculum website with five levels from beginning to advanced. 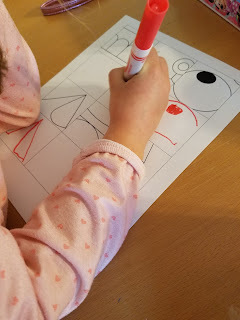 Madison was right on the cusp for the recommended age for level one and level two, but because I wanted Reagan to try it with us, and because I know that visual art is not something that Madison feels is a strength, I decided that we should get that good foundation and start with level one. When you select a lesson in your level, you know exactly what you're getting into. You know what supplies you need (bonus: in level one, it's mostly paper, sharpies, markers, and the ability to print the warm up activity and the guide. Glossy printer paper is suggested, because markers "pop" better on glossy paper). The teaching is done either via PowerPoint or video. We used the video exclusively. Honestly, if I wanted to, I could set the girls up, play the video, and only occasionally check in. Although the girls were able to complete an entire lesson in one sitting, it did take them a while - as long as we'd spend on formal schooling for an entire day. I'm deciding whether I'd like to assign us an "art" day, where the majority of our time is spent creating, or whether I'd break up a project over a few days. Luckily, either way is incredibly doable. I also like that you can "wade in", so to speak. You can try a few lessons for free, buy one lesson at a time, buy a bundle, buy a full level, or even the entire curriculum. After doing a few lessons, you'll have a better idea about how you want to incorporate it, so you can commit AFTER you're decided. Interesting note: the teacher suggests that you use a black fine tip permanent marker to do the drawing, rather than a pencil, even at the very beginning. The rationale is that there are NO MISTAKES, so there is no need for erasing. 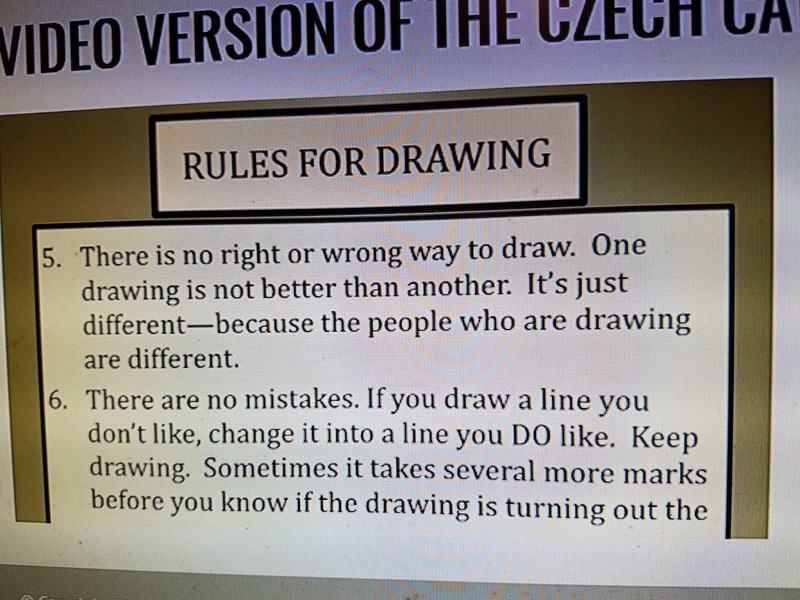 If you draw a line you don't like, draw a line you do like. It will be OK. It's excellent therapy for perfectionists. Madison gets incredibly frustrated and wants to crumple her paper and start over if it varies from the model AT ALL, but the teacher encourages the students to WAIT and look at the finished product before making any decisions about it. 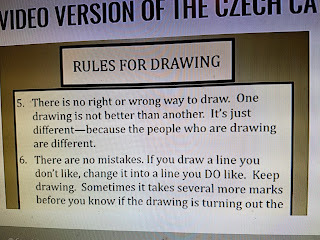 Rules for Drawing - how to get your mind focused, what to do when you make a "mistake", and reminders that every artist will end up with a different creation. I love these rules. I need to hear them. 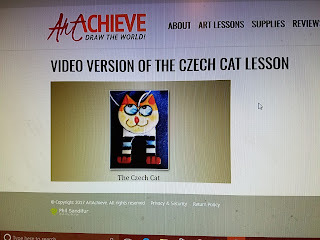 The first lesson we tried was the Czech Cat. I love that every single lesson has cross curricular suggestions. 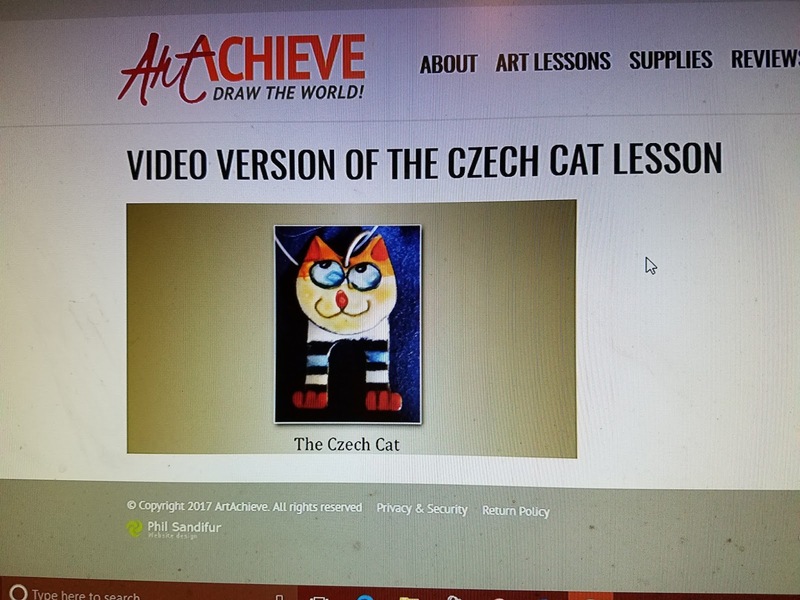 Not only did we read some cat facts and some facts about Czech culture, we read some of T.S. 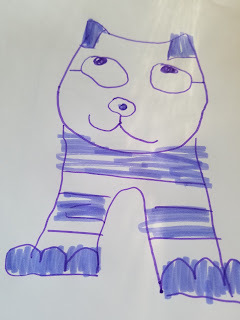 Elliott's poetry that inspired the musical CATS, and because it's us, and we are performing artists, we dove into the musical and the dance styles that emulated the movement. 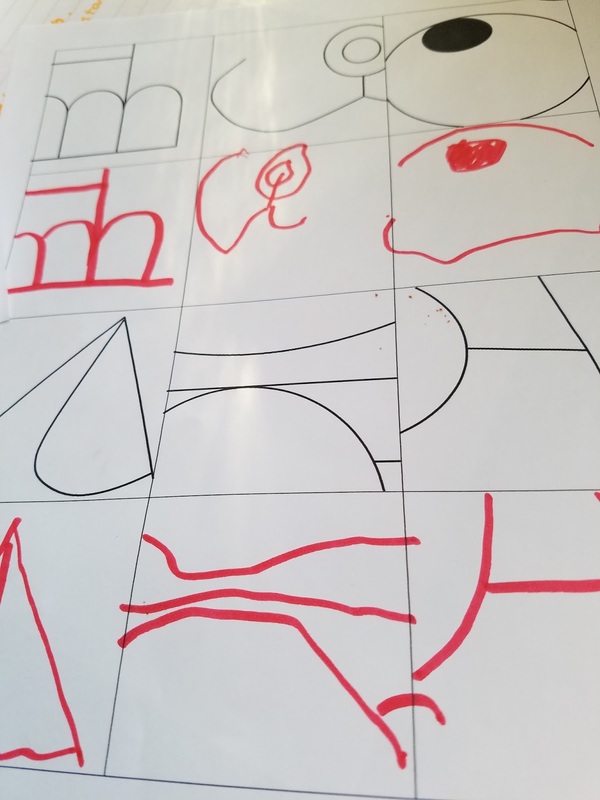 The warm up sheet had us focusing on little segments to copy. We were looking at straight lines and curved lines. One of the "rules" for drawing is that you are silent, but you can play music to inspire you. Naturally, we chose the music from CATS. 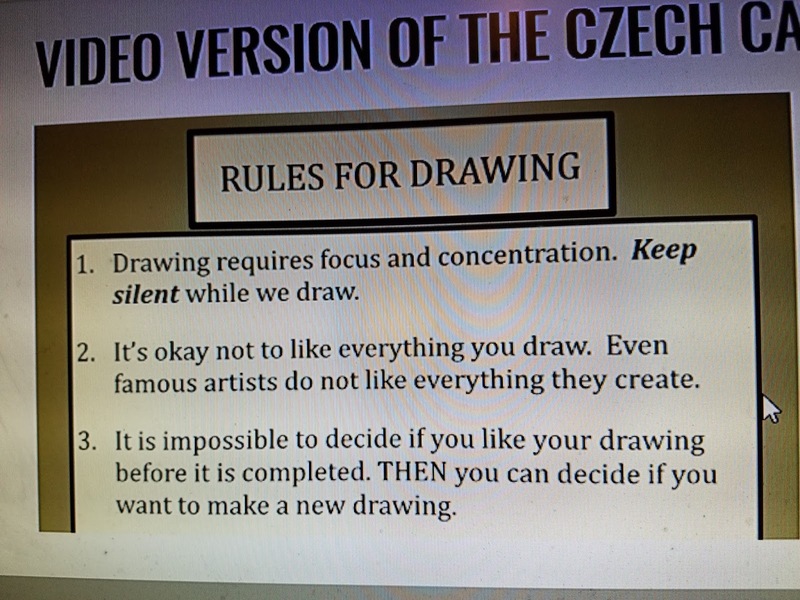 If you have chosen the video option, you'll be advised when to pause the video so you can focus on your drawing. With older kids you could leave them alone, but with my girls, I manned the controls. Once it's time to dive into the project, you start by planning. You look at your paper and imagine. You use your hands and focus on the key spots on your blank paper. Where will the eyes go? Where is the nose? And when it's time to start drawing, you start small - literally. You draw the small circle for the nose, and go out from there. When we finished, both Madison and I had been successful. 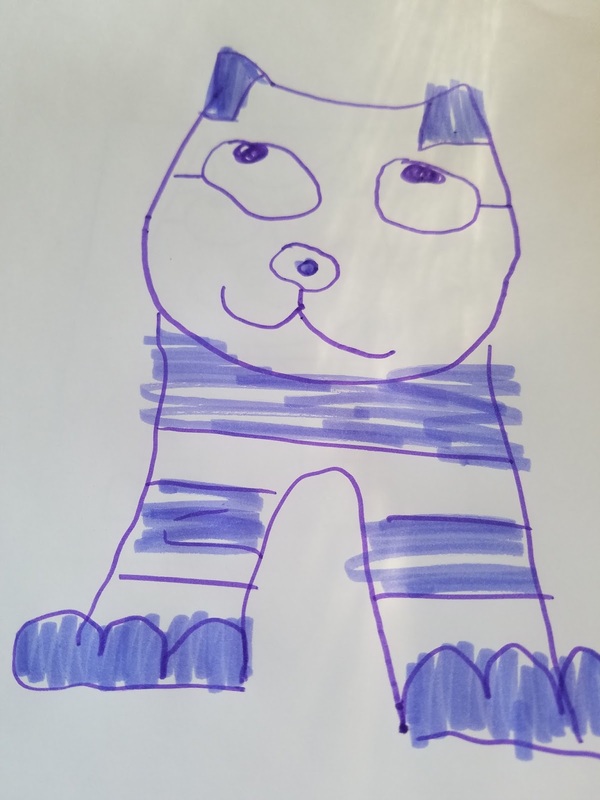 We grew our confidence, we learned drawing technique, and we had finished products we felt good about. Before we put the first piece aside, Madison scrolled through the rest of the lessons, deciding on where she wanted to go next. Yes, the instruction was black marker for the drawing. But when you have a reluctant drawer, you adjust. She loves purple. 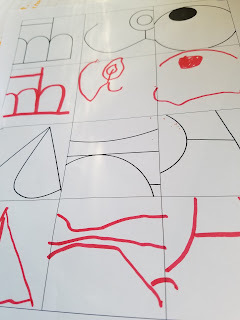 I love hearing about how others are using programs like this, because, as we know, with art, it's so individual, even when when the instruction is consistent.